GPS is great for finding your way around, except for when you’re indoors, where walls and ceilings make it difficult for satellite signals to accurately pinpoint your location. Thankfully, Microsoft has been thinking about a better way to help you navigate large malls, hospitals, office buildings and parking lots effectively. 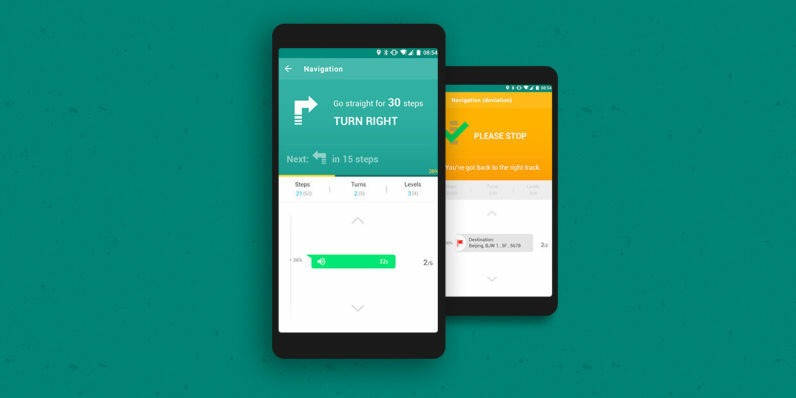 Over the past two years, a group of specialists at Microsoft Research Asia have developed Path Guide, an indoor navigation app that doesn’t rely on GPS or Wi-Fi and radio signals to help you get around. Instead, it works by having a human ‘leader’ record paths through the indoor space to various destinations simply by walking with their phones in hand, and allowing other users to follow those paths with on-screen directions. To achieve this, the app uses the sensors in your phone to trace your paths accurate down to the number of steps needed to get someplace. Path creators can also add text, audio and image annotations for things like getting past locks and entering room key codes. Once you’ve traced a path, you can share it publicly and make it available to others, who can look it up using Path Guide’s search tool. It’s a clever idea that works well enough for the most part, though the path tracing process could be simplified a bit. The same goes for discovering paths around you; it’d be nice to see the app pop up a notification if you’re nearing a large building that has paths already charted out. And in order to gain traction, Microsoft would have to work hard to drum up interest among users across the world to adopt Path Guide and use it. It’s not impossible, and it’s been done before: plenty of the data on businesses and public spaces on Google Maps is crowdsourced and fairly accurate. Naturally, the company will want to wait and see if this is something that people actually find useful on a global scale before embarking on such a mission. Path Guide is currently available only for Android; you can give it a try by grabbing it from Google Play.